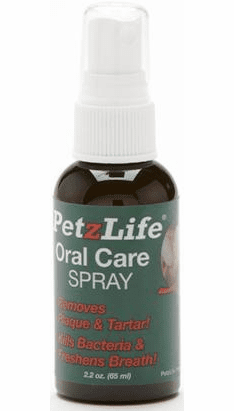 Petzlife Oral Care Spray 2.2 oz. What are customers saying who use Dental care for dogs, In their own words. I'm sorry that this email took so long. 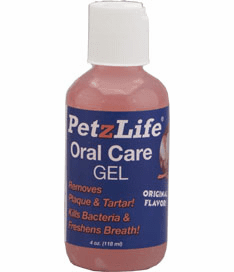 What a godsend that PetzLife Oral Dental care for dogs and cats gel seems to be. Our female, Bambina's canine teeth are already 75% cleaned up and Travelers's teeth are slowly improving. Neither have the terrible halitosis as they did....not perfect but 85% better. Who in the world would have guessed? 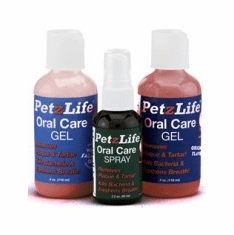 This little company should do better advertising for PetzLife Oral Dental care for dogs and cats. Certainly the vets wouldn't tell you but rather have you have Dental care for dogs teeth cleaned every year! 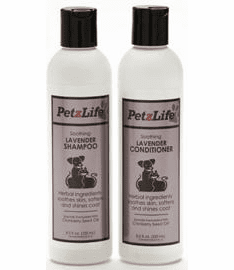 Thank heaven for our friend who is the breeder in FL told us about is PetzLife Oral Care Dental care for dogs and thanks to you being Johnny -on-the Spot both dogs are on the mend. 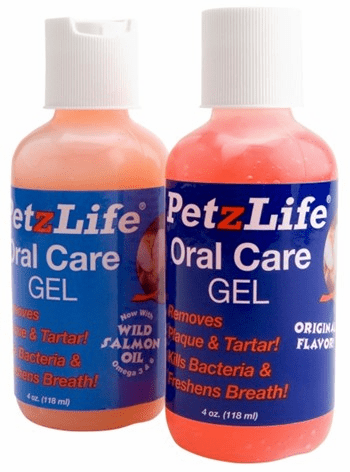 It will be really interesting to see what a month on PetzLife Oral Care Dental care for dogs will be. Thanks for your help. "The cat is a carnivore," says Dr. Carmichael. "His teeth are meant to be kept strong and clean by chewing up the flesh and bones of birds, rodents and other prey. Today, the cat subsists basically on a diet of the mush that we feed them. We are inadvertantly setting our cats up for serious dental problems. " (http://www.vet.cornell.edu/fhc/news/dentist.htm)help avoid the following by using PetzLife Oral Care Dental care for dogs and cats. Surgical Removal Unless a tooth is so deteriorated that it is ready to fall out, Dr. Carmichael extracts a tooth through surgical removal. "We never just yank a tooth," he explains. "Rather, we lift the gum tissue on the outside of the tooth and use a high-powered water-cooled drill to remove some of the bone tissue that is holding the tooth in the mouth. Then, with special instruments, we remove the tooth and sew the gums back together with dissolvable suture material." Any licensed veterinarian is qualified to clean, examine and extract teeth. According to Dr. Carmichael, the cost of an extraction, depending on the difficulty of the procedure, will typically range from $25 to $100, excluding any anesthesia and any necessary laboratory tests.” Prepare to add in another $200-$300 or more. 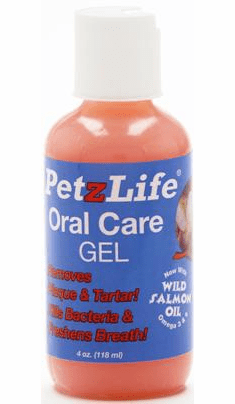 This is why PetzLife Oral Care Dental care for dogs, cats and horses is so important. Keeping the teeth clean should always be your #1 top priority in your pets health…The all-natural ingredients safely remove plaque and tartar, reverse oral disease, promote healthy gums, brighten teeth and kill the bacteria that causes bad breath. No toothbrush required.